Don't regret growing older. It is a privilege denied to many. "The uncreative mind can spot wrong answers, but it takes a very creative mind to spot wrong questions." Welcome to the February issue of Higher Vibrations. A few people are still having trouble with the article links. I am not sure what is causing this since it does not affect everyone. However, you can always find all my articles on the website. 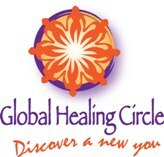 Just go to the home page www.spiralrelease.com and click on the article link at the top of the page. The most recent articles will be listed first and previous archived articles are listed by year. This month’s article The Gift of Age explores growing older and the idea of asking the right questions in life. I share some examples and how to begin using this idea in your life.